Whitening toothpaste: Different companies have come up with different toothpaste brands that remove surface stains from people using them. The toothpaste does not contain any bleach and only causes a slight whitening of the teeth, usually one shade. 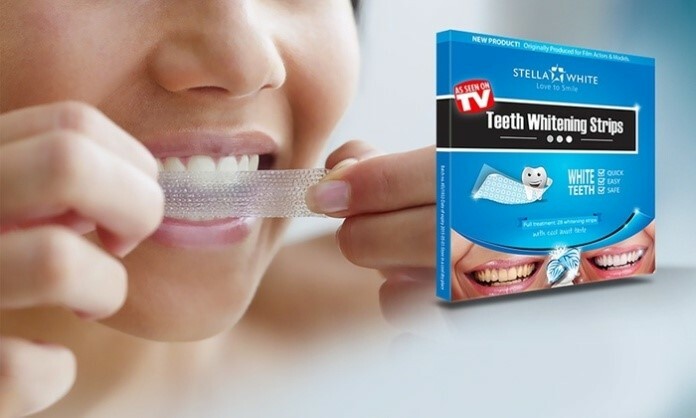 Over-the-counter whitening strip and gel: the main ingredient in these is hydrogen peroxide 3% and are applied twice daily for a period of fourteen days with each application lasting for thirty minutes. To some, the teeth will be whiter in a few days but others may take a number of months before any results begin to show. There are other strips that are left to melt onto the teeth and should also be applied two times daily. They work in the same way as the removable strips. Whitening rinse: These are used in the same way as ordinary mouth rinse by gaggling for a few seconds then spit it out. This method has little or no whitening effect on most of the people who use it. Tray whiteners: These trays can either be bought from local pharmacies or from a dentist’s office. The strength contained in the trays is equal to that in the strips or gel and should be left on the teeth for a period of four hours. You have to continue with this treatment for some time for you to see positive results. Dentist’s dental whitening: This is the most expensive and effective teeth whitening procedure. Results will show in a period of thirty minutes as it penetrates deeply into the teeth making them whiter in multiple shades. The hydrogen peroxide used in the whitening agent used by dentists is between 15% and 44% unlike that in the over-the-counter whitening agents which only has 3% hydrogen peroxide. Though the dentist’s dental whitening procedure is expensive, it is the most effective and will only take a few minutes to get your teeth whiter. The other methods may not work or may lose their effect after only a short while.